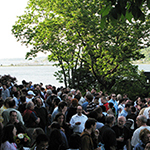 You are cordially invited to participate in the eleventh biennial meeting on Germ Cells to be held at Cold Spring Harbor Laboratory, Long Island, New York. The meeting will begin with dinner and the first session on the evening of Tuesday, October 9 and will conclude after lunch on Saturday, October 13, 2018. 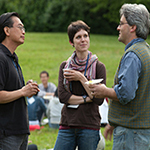 The specific goals of this conference are to bring together a diverse group of scientists studying various molecular, cellular and genetic aspects of germ line and gamete development. This meeting is intended to provide a format for the exchange of ideas and information, to discuss the latest research findings and technical advances, and to facilitate the intellectual unification of research on germ cells and related disease states in diverse systems. The format of the meeting will include seven oral sessions consisting of invited and short talks, chosen from the submitted abstracts, and one poster session. All speakers and chairs are strongly encouraged to stay for the entire meeting. 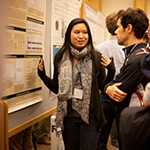 The organizers will decide the suitability of each abstract for oral or poster presentation, but please specify if you prefer a poster. 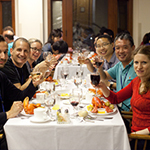 All questions pertaining to registration, fees, housing, meals, transportation, visas, abstract submission or any other matters should be directed to Catie Carr at carr@cshl.edu. Partial support provided by National Institute of Child Health and Human Development and The Lalor Foundation, Inc.